2 years ago, on World Mental Health Day 2015, I published my first blog post on here. Writing this blog has been eye opening, difficult, liberating and a pleasure. Thank you to every single person who has visited here, read my posts, shared them and related to them. 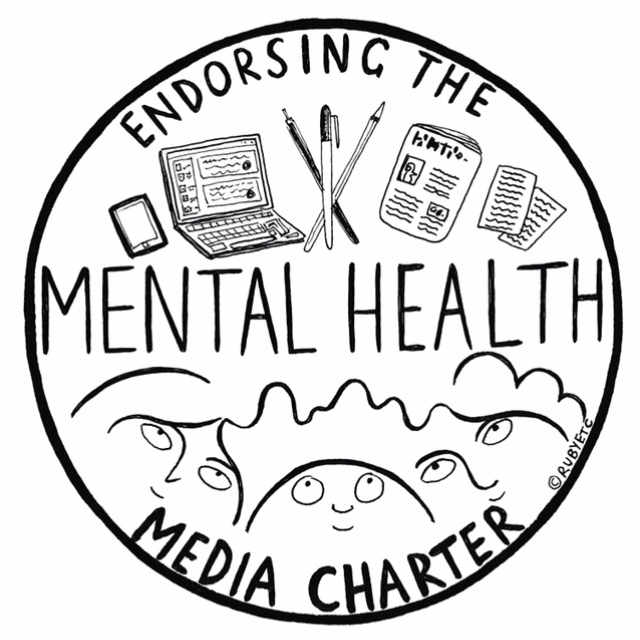 For this years WMHD, I am proud to be supporting Natasha Devon’s Mental Health Media Charter. 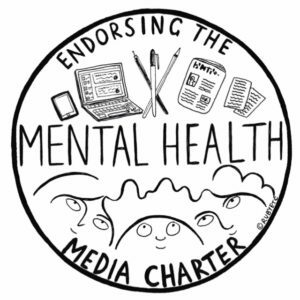 Basically, the Charter is a set of guidelines for anyone discussing or reporting on mental health and mental illness, which will help to ensure that it is discussed responsibly, sensitively and without adding to the stigma. Here is the Charter in full. The language we use and the narrative we create is SO important and I think the Charter is a brilliant idea and am glad to be a part of the campaign. (MHFA) England, Beat & The Samaritans. and to reduces stigma around mental illness. 1. Use the phrase ‘commit suicide’ or ‘successful suicide’. their own life are ambivalent, in that part of them wants to live. become something to ‘aspire to’. 3. Use the term ‘anorexics’, ‘bulimics’, ‘depressives’ or ‘schizophrenics’…. Better alternative: ‘people experiencing anorexia/bulimia/depression/psychosis’. 4. Avoid giving too much detail on suicide/self-harm or eating disorder methodology. As a general rule, stories should focus on ‘whys’ not ‘hows’. a link between generic poor mental health and terrorism/violent crime, stigma and fear is increased. personality disorder (being a psychopath or a sociopath is not technically a ‘mental illness’)? 6. Understand the difference between mental health and mental ill health. 100% of the population is effectively confined to one quarter of it. health’ so that the public can understand the distinction. 7. Include links to good quality sources of support if content might trigger need for help in a reader. reliable evidence and have good links with research institutions. If you want to read more about the Charter, see Natasha’s website here. I hope more and more people get on board with this and help to report and discuss mental health in a responsible way that benefits everyone and reduces stigma. « Things I’ve done (still have anxiety, just do things with it).